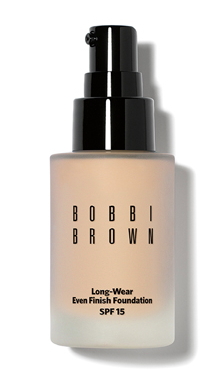 The skin foundation and the long wear foundation are both the best-selling foundations among all the Bobbi Brown foundations they have. Many find themselves caught and stuck in a dilemma not knowing whether which to buy. I was one of them. So what are the difference between the both? 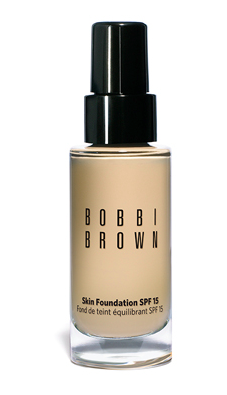 The skin foundation is in a glossy taller glass bottle where the long-wear foundation is in a matte shorter glass bottle. In terms of the pump, cover packaging, it’s the same. It’s just the size and the texture of the glass. DetailsA truly modern foundation that offers invisible, weightless coverage that looks like skin, not makeup. This long-wearing formula evens tone, minimizes the appearance of pores, conceals imperfections, and offers broad spectrum UV protection. Its hydrating technology leaves skin feeling cushioned, comfortable, and clean. Ideal for all skin types. DetailsFinally – a natural-looking and long-wearing foundation. Comfortable and hydrating, this medium to full coverage oil-free formula never looks cakey or masky. Glycerin and shea butter keep skin feeling moisturized while a gel base creates a lightweight finish that stays color-true. Lasts for up to 12 hours even in the most humid conditions. Protects skin from future damage thanks to broad spectrum SPF 15 with antioxidant vitamins C and E.
As you can see from the description above, they are a slight difference with the both foundation. They are both oil-free foundation. The skin foundation gives a weightless coverage, so it means if you want a full coverage you would need to build it up with concealer and a few layers of foundation with blending and buffing skills. Whereas the long-wear foundation gives a medium to full coverage that doesn’t make your face look cakey or maskey. In terms of the consistency of both foundation, the skin foundation is much more watery compared to the long-wear foundation. The skin foundation isn’t up to a state where it’s runny and flowing down my palm, it’s just perfect the way it is and the best way for you to know is to pop into a store/counter and test it out. The other thing is that the skin foundation evens your skin tone, as well as minimizes your pores where the long-wear foundation gives your skin feeling moisturized and stays for 12 hours even in the most humid conditions. This is a really smooth foundation that blends and oxidize into my skin really well. It doesn’t break me out, nor does it give me any skin problem with my sensitive skin and all that. It gives me a very natural dewy look as if i barely have any foundation on. Means? NO CAKEY FOUNDATION – even with my pores, wrinkles, tiny bumps, bad pimple week, redness and all. It’s an oil-free foundation. So i really love it that it doesn’t make my oily t-zone worst. Coverage is buildable, but i usually use a concealer for special spots that i would want to cover. My skin looks healthy with radiance after that. I call it Skin Finish cause it’s like a layer of skin. The list could go on about what i like about it as it is currently my favorite foundation. This is one foundation that really stays and last up to 12 hours. 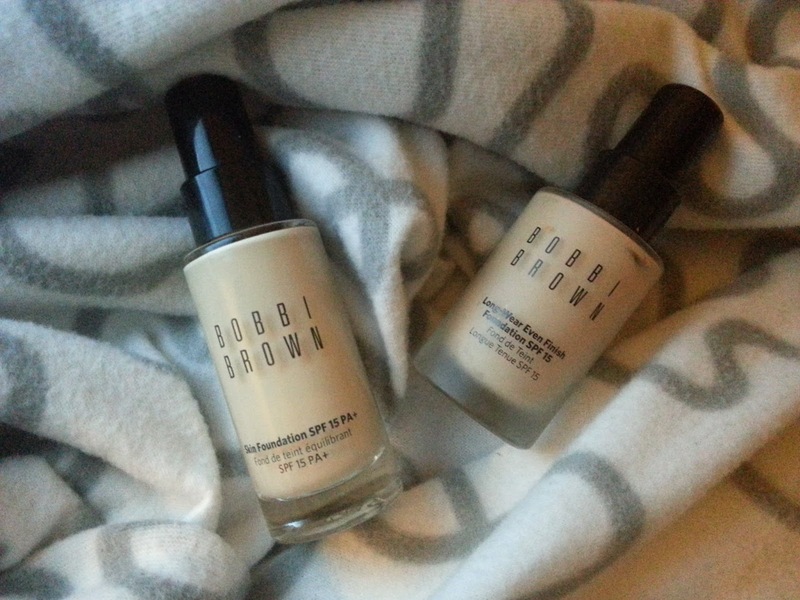 It’s also another oil-free foundation, but this gives a matte finishing rather than a dewy look. This foundation gives a radiant look because the long-wear foundations formula is slightly different, it gives a porcelain radiance matte kind of look. This is a much more suitable foundation if you have oily skin. If you have dry or normal face, you need to make sure your face is properly moisturized. A little harder to buff and blend compared to the SKIN FOUNDATION. The best way to summarize it is that skin foundation is a winter foundation and the long-wear foundation is a summer foundation. 🙂 at least, for me. *will update the color swatches with photos soon. Enjoy intense, long-wearing lip colour that won’t smudge or budge all day—through work and play. Seriously powerful. Simply wow! Powerlips Fluid. Four shades including Determined, Persistence, Confidence and Unbreakable will launch on 11 December, plus three limited-edition shades (Roar, Maven and Breadwinner) are available on Monday 11th December 2017! Purchase individually or enjoy all seven shades in The Powerlips Fluid Powerful Pack. Vitamin E—nourishes, softens, and moisturises the skin while delivering anti-aging and antioxidant benefits. The weightless formula contains a blend of skin-nourishing ingredients, like avocado oil, beeswax, and vitamin E to hydrate, nourish, and prevent damage. Apply to clean, bare lips anytime you want a splash of long-lasting, powerful lip colour. Line lips with an applicator and then fill in colour. For best wear, use alone and avoid glosses and balms. Get your hands now on the new Powerlips fluid!